BearingPoint began at the height of the consulting boom years in the late 1990s, and was a part of KPMG’s worldwide consulting practice. However, after the ENRON scandal erupted, SOX restructured the consulting industry. BearingPoint battled to find its own way in the world, and the firm struggled with finding independence from its Big 4 parent. However, today BearingPoint is emerging as a player in the operations and technology scene, especially in Europe, and has re-established an impressive growth trajectory. Preparing for a BearingPoint interview? Read on to discover interesting nuances of culture and the interview process that are unique to the global consulting firm. BearingPoint’s origins began in 1997 as a consulting business unit of KPMG. This consulting business unit focused on both technology and management. In January 2000, KPMG made the business unit a separate company, and named it KPMG Consulting, LLC. On February 8th, 2001, KPMG Consulting, LLC, went public on the NASDAQ starting at $18 per share under the ticker “KCIN”. Its IPO was delayed 6 months due to the quickly declining high-tech consulting services market. Shortly after going public, the new KPMG Consulting, LLC management announced their intentions of some aggressive international acquisitions funded by their new IPO. They repurchased $381.3 million in stock from their former partner Cisco Systems and, over the next year and a half, acquired 40 international subsidiaries from Arthur Anderson, who had just collapsed, and the German and Austrian consulting firms of KPMG. The acquisitions and stock repurchasing took a large chunk of the $2B raised by the IPO. This was just the start of financial and debt problems. On October 2, 2002, after the Sarbanes-Oxley Act was passed, the company rebranded their name to BearingPoint Inc., and promptly began trading on the New York Stock Exchange under the symbol “BE”. This way, they could avoid any scent of a conflict of interest with KPMG, LLP and maintained a completely separate ownership structure. BearingPoint quickly became one of the world’s largest management and technology consulting firms with operations in more than 60 countries and employing more than 17,000 employees worldwide. The re-branding campaign cost them $50M – a small price to pay for major independence. The Sarbanes-Oxley (SOX) Act was known as the “Public Company Accounting Reform and Investor Protection Act” by the U.S. Senate, and “Corporate and Auditing Accountability and Responsibility Act” by the U.S. House of Representatives. The United States Federal law set new or enhanced standards for all U.S. public company boards, management and public accounting firms. This allowed for more severe penalties for fraudulent financial activity and required top level management to individually certify the accuracy of all financial reporting. The law gave a greater oversight role to the board of directors. This bill was passed in answer to all the financial scandals going on at the time like those of Enron, Tyco International and others, whose investors lost billions of dollars. One of the key SOX impacts on consulting was the mandated “ethical wall” that was enacted – a firm could not both audit and consult for the same company, because it was considered a major conflict of interest. In 2003, BearingPoint, Inc. was still using the old software from KPMG to handle all of its accounting and human resource functions. This software did not have functionality in line with the internal control requirements of the SOX Act, nor was it intentioned to handle a public company’s needs. BearingPoint was also in the midst of integrating all of its international acquisitions into the old system. In order to comply with the SOX Act before facing penalties, the firm began rolling out its “OneGlobe” system to record and keep track of all contracts worldwide. Unfortunately, in 2004, soon after the rollout of this new accounting system, complaints began rolling in. In May 2004, BearingPoint reported a valuation decline of 61%. It had numerous reasons for the decline, like difficult European labor laws restricting layoffs, and radically decreasing corporate spending on consulting and technology services. However, financial issues began following the firm’s IPO and the multiple lawsuits that followed from KPMG. The accounting problems and lawsuits would continue until 2009 when the U.S. business unit filed for Chapter 11 Bankruptcy. In August 2009, there was a company management buyout and restructuring. Now, BearingPoint is operated as a Netherlands-based partnership, consisting of 120 partners in 14 countries throughout Europe. BearingPoint kept its branding and employs ~3,500 people in Europe. Peter Mockler and his management team, who had been EMEA leadership in 2006, continued to lead BearingPoint. This leadership has brought stability and continuity to the business. Two new partnerships mark the forward movement of the firm – in July 2013, Bearing Point opened a new office in Shanghai, China and in November 2013, Bearing Point and Cumbria Financial Services Consulting agreed to a Strategic Consulting Alliance. BearingPoint partners with major technological suppliers, like Hewlett Packard, IBM, Microsoft, Oracle and SAP, to develop solutions and strategies suiting client requirements. BearingPoint has 51 offices in 30 different countries across the globe. In a number of countries, BearingPoint’s offices are shared with those of other firms. For example, in all the U.S. locations (except for Dallas), BearingPoint works in partnership with West Monroe Partners. Business and technology graduates have the opportunity to join BearingPoint as analysts. They then transition to consultant and senior consultant roles. 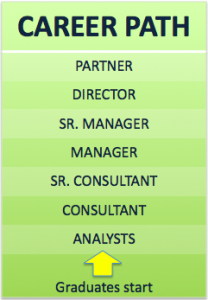 The BearingPoint management path includes 4 levels: Manager, Senior Manager, Director and, ultimately, Partner. 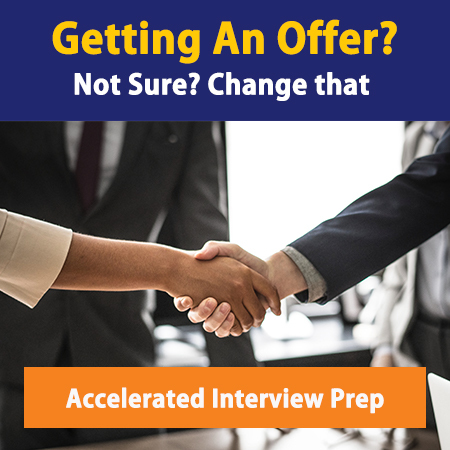 You can speed up your career progression by becoming a specialist – working in specific industries or practice areas, especially those in high demand, can accelerate your career. BearingPoint works with employees to craft a mutually beneficial career plan. All new hires start by attending “BearingPoint School.” This is an international training week to learn more about the company and build a personal network within the firm. Summer internships are offered in Stockholm, Sweden and Oslo, Norway. There are different requirements to apply for internships in either country. Sweden requires you to be fluent in at least one Scandinavian language. This would include the Danish, Swedish, and Norwegian languages. You will be working on various client engagements and will be placed on a team of experienced consultants. The Scandinavian offices boast of a young, fast-paced environment, and seek interns with great analytical, leadership, creative, and social skills. Like its counterparts Capgemini and Accenture, exit opportunities from BearingPoint are largely determined by the practice areas you’ve focused on. If you work in operations for oil & gas, your exit opportunities will fit squarely in that field. If you focus on tech or Six Sigma in supply chain, you can expect your exit opportunities to be in line with these core competencies. Don’t expect too much of a global network – there isn’t a tremendous amount of brand loyalty (yet) for ex-BearingPoint consultants, most likely due to the firm’s unstable 15-year history. Most agree that the work/life balance at BearingPoint is great. It is a very competitive environment that challenges and inspires you to increase your skill set. Lots of excellent training is available and your colleagues are generally very collaborative. Bonuses seem to be infrequent. Most current consultants we’ve heard from desire more transparency in performance plan assessments. The management style varies throughout the organization and regions. The Desertec Industrial Initiative (Dii) created by the non-profit organization Desertec Foundation. BearingPoint is involved in addressing global environmental changes particularly in reference to sustainable energy. Plan International – This organization promotes children’s rights. Bearing Point provides pro-bono services and fundraising support in Norway and Switzerland. Cardiac Risk in the Young (CRY) – Organization providing education, screening and support to those with serious cardiac conditions. Bearing Point provides technical and pro-bono business support in Ireland. They also organize various charity runs and other social events for fundraising efforts. Impetus Trust – Their focus is on growing already expansive European and global charity investment ventures. BearingPoint provides pro-bono business and technical support in the UK. Great Ormond Street Hospital – BearingPoint UK helps raise funds. Institut Montaigne – BearingPoint participates in this group in France to specifically focus on European energy policies and the future of management schools. Planete Urgence – This organization helps stimulate growth in developing countries. Nos quartiers ont du talent – Promote diversity helping young people in disadvantaged areas find employment. The firm’s core values are impressive, but not necessarily expressed organization-wide. In fact, there isn’t a clear “BearingPoint brand” yet – but perhaps another $50M investment would be well-utilized in this area. What was your greatest failure? How did you handle it? We have offices and clients all over the world, even in dangerous areas. Are you willing to go where needed? What are 3 primary growth areas for you? With such a focus on consulting fit interview questions, be extra prepared with Hero Stories and details about why BearingPoint is the firm for you. Nervous about the BearingPoint interview? Work with our expert coaches today! BearingPoint recruits students from the top business management schools around the world, but has had an inconsistent presence at many due to its own internal drama. We can expect more clear partnerships to emerge in the future. The one core target school, interestingly enough, is Yale School of Management. If BearingPoint comes to your school to recruit, let us know! What if your resume gets rejected by every consulting firm?